James Bond fans are debating whether it’s a good idea or not for a rebooted Ernst Stavro Blofeld to be part of Bond 24. What spurred the discussion was A REPORT IN THE MAIL ON SUNDAY saying such a move would occur. At this point, it’s not known whether that’s really happening or not. Even if it is, fans might know it for sure until Bond 24 comes out in the fall of 2015, similar to how Agent Eve in Skyfall turned out to be a rebooted Moneypenny. That hasn’t stopped fan debates concerning a 21st century version of Blofeld. Some think it’d be great, especially if a new Blofeld were closer to the character depicted in Ian Fleming’s novels. Others say it’s best to leave Blofeld in the past. A similar rebooting of an arch foe has been done, and completed, on the rebooted Hawaii Five-0. That series debuted in 2010 on CBS and its 100th episode was telecast Nov. 7. We’re talking about, of course, Wo Fat, who was Steve McGarrett’s greatest enemy in the original 1968-80 Hawaii Five-O. This post is simply a look at the choices the new series made in rebooting Wo Fat. It’s not meant as predicting or advocating how Blofeld should be rebooted (if he is at all) in Bond 24. The original Wo Fat (Khigh Dhiegh) was very much the mastermind, manipulating events and spinning schemes. He left the rough stuff up to his flunkies. At times, he even displayed a sarcastic sense of humor. Initially, Wo Fat worked for China. At the time the original series debuted, the United States didn’t have diplomatic relations with China. In the second half of the series, Wo Fat went independent and in one seventh season episode says the current Chinese government is too soft. In a two-hour episode in the ninth season, he plans to stage a coup, seize power and launch nuclear missiles at the U.S. Wo Fat thought big. This version of the character didn’t show up all that often and there were some seasons where he didn’t appear at all. Each encounter between Wo Fat and McGarrett seemed more special (excluding a second-season episode where Wo Fat only made a cameo appearance.) Wo Fat gets captured in the final episode. There was no personal connection between Wo Fat and McGarrett (Jack Lord), although the villain came to despise his adversary. Mark Cacascos, Wo Fat 2.0. 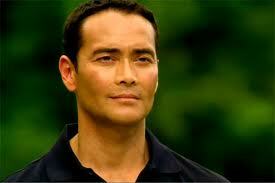 For the new series, there’s a new mean, lean Wo Fat (Mark Dacascos). 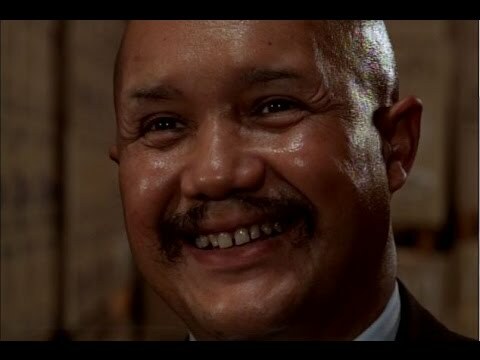 This Wo Fat is an independent terrorist, though he appears to be welcome in North Korea, which he uses as his base of operations for one episode. He plots, engages in his own fighting and brutally kills people on his own. He also shows up a lot more often — 15 of the first 100 episodes. Wo Fat and the new McGarrett (Alex O’Loughlin) have a number of intense fights over those episodes. And, it turns out, Wo Fat’s hatred of McGarrett turns out to be personal from the start, although this wasn’t revealed initially. This McGarrett has a mother who is a U.S. spy. She had been assigned to kill Wo Fat’s father but killed his mother instead. Mom McGarrett initially tried to raise Wo Fat as her own but her U.S. intelligence bosses said that was a bad idea. As a result, Wo Fat has a big hatred of the McGarrett clan from the start. For his final appearance, Wo Fat 2.0 tortured McGarrett (and not for the first time on the series). Eventually, McGarrett got free and the two had one last all-out fight. They’re laying on the floor, exhausted, each holding a gun on the other. Wo Fat sarcastically calls McGarrett brother. “You’re not my brother,” McG replies. No more Wo Fat. kill him off spoiling the fun ? a reminder to bond that he has un-fineshed business. Blofeld was killed in the novels (“The Man in the Golden Gun”) and he was killed in the movies (“For Your Eyes Only”). Please . . . God . . . let him remain dead. Is this what pop culture has become . . . recapturing the “glories” of the past instead of creating something new?